Raazi, starring Alia Bhatt and directed by Meghna Gulzar is an adaptation of Harinder Sikka’s novel Calling Sehmat. 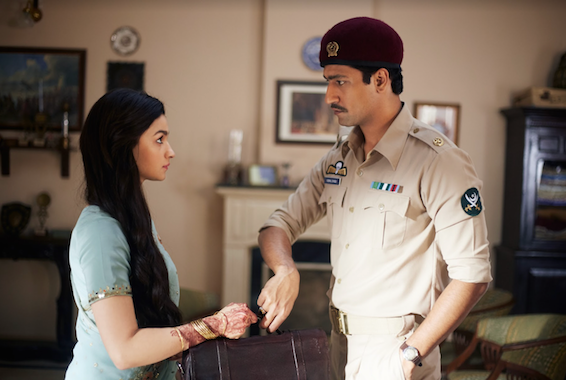 Raazi is based on a true story of a young girl, who was sent to Pakistan in 1971, to source out any information she could, as war was becoming imminent between India and Pakistan. It is the journey of an ordinary Indian girl, in extraordinary circumstances. Raazi releases in cinemas on 11th May. 16 queries in 1.328 seconds.